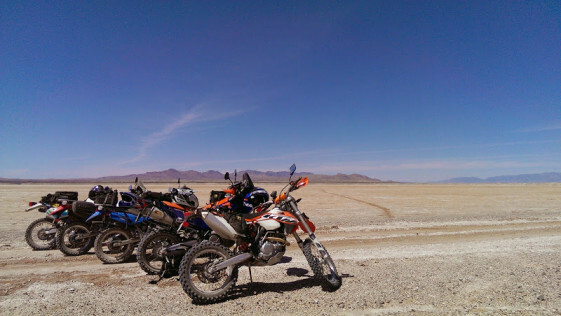  4 days of dual sport or adventure riding in the Arizona desert. The Dual Sport Desert Daze are four fabulous days of dual sport or adventure riding riding in the Arizona desert. There are no fees or registration required for this event. There will be different routes to choose from to accommodate all skill levels. The Dual Sport Desert Daze event is a great opportunity to meet some of the various dual sport adventure motorcycle riders in person who hang out on the online forums. Spend four days in Southern Arizona exploring the great trails, forest roads, food and fun. Enjoy the chance to ride with other folks or ride by yourself. Maybe you’ll learn a few tricks or discover a new road. At the Dual Sport Desert Daze you’ll definitely meet interesting folks, BS about dual sport adventure bikes, eat some good food and do some great riding!